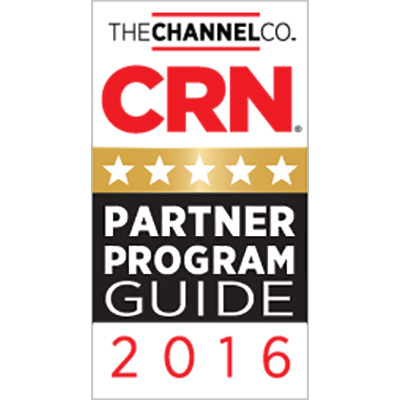 Star2Star Communications, developers of “The World’s Most Scalable Cloud Communications Solution”, today announced that CRN® has awarded the company a 5-Star rating in its 2016 Partner Program Guide. The 5-Star Partner Program Guide rating recognizes an elite subset of companies that offer solution providers the best partnering elements in their channel programs. This is Star2Star’s third consecutive appearance in the 5-Star guide. “We’ve spent ten years building the best channel program in our segment”, said Michelle Accardi, COO of Star2Star. “This recognition from The Channel Company is further confirmation of our success,” she continued. Founded in 2006 in Sarasota, Florida, Star2Star Communications delivers the World’s Most Complete and Scalable Cloud Communications Solution. Star2Star’s award winning, patented Constellation™ Network overcomes the reliability and quality limitations of other communications technologies. In the past five years, Star2Star was named to the Forbes Most Promising Companies list, the Deloitte Technology Fast 500 three times, and the Inc. 500|5000 five times. Infonetics recognized Star2Star as one of 2015’s Top 10 Hosted Business VoIP/UC Provider, and Gartner named Star2Star in their latest industry report, Magic Quadrant for Unified Communications as a Service (UCaaS). Star2Star Communications solutions are sold through a diversified network of partners that includes distributors, master agents, managed service providers and certified installing dealers. Star2Star systems are used by hundreds of thousands of business users, including many large national chains with multi-location communications footprints.